Metro Seattle Gamers - Why MSG? Enjoying a game comes from having a personal fascination with that game. Whether one is inspired by the game’s mechanics, the game’s presentation, the game’s role as a metaphor for some aspect of the real world, or all of the above, that fascination is in the mind’s eye. It is independent from the constraints of time and space. Metro Seattle Gamers is not a store, nor are we affiliated with a store. We are one of a small number of self-supporting game clubs in the world. Traditional venues for playing games, game stores, restaurants, and conference spaces, do not offer all of the time, space, storage, (semi-)privacy, and other conveniences that are either requirements for or aids in playing many games. Game stores exist to move product and must cater to the greatest common denominator games; restaurants generally offer limited space, limited time, and expect users to buy food; and conference spaces either offer limited time or charge a lot on an hourly basis. Over time these economic forces have pushed many great and enjoyable games out of both public view and regular play. In allowing less commonly played games to be visible, and playable, we believe that our club's capabilities serve to complement those of other gaming venues in the Seattle area. Metro Seattle Gamers also serves those who simply want more freedom and control over the environment in which they play. 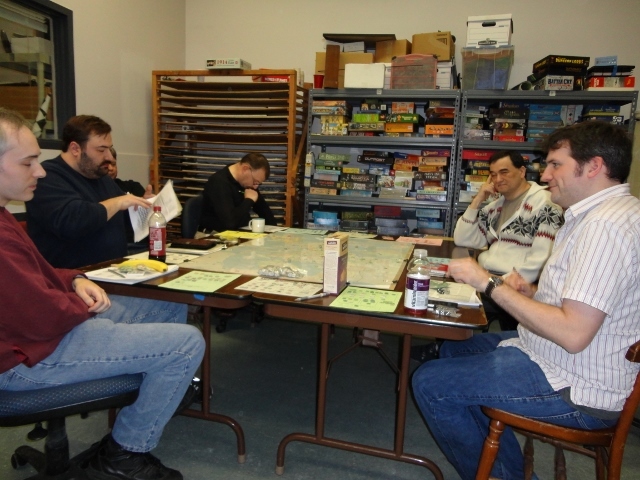 Our members want to focus on and even study the games that they are playing; other agendas are a distraction. Instead of allowing others to set the terms or create obligations unrelated to playing games, our members choose to take responsibility: we pay our own way to showcase the games that we want to play. Metro Seattle Gamers is also a social hub for our members. It is valued as a center for friendships both over and away from the table. You want more space to play the games that interest you. You want more time to play the games that interest you. You want more privacy in the space where you play games. You require a more central location to enable your players to meet as a group. You dislike the uncertainty or lack of control when playing games at other venues. You are looking for players who might play less commonly played titles. You are looking for more experienced players. You want the games that you play to be visible on a regular basis to the community. You want to socialize in an environment that is just about playing games. You are tired of running between venues and want to hang your coat in one place. You prefer to use your own space for more private uses…or you have cats. Whatever your reasons we hope that you will come by to pay us a visit. Newcomers are very welcome.